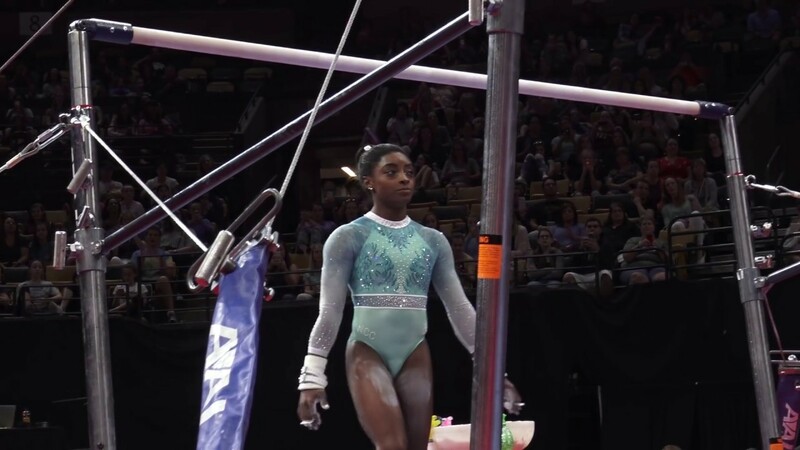 Following the US Classic later in early summer 2019, the US Gymnastics Championships will return to Kansas City, Missouri for the first time since 1987 on Aug. 8 spanning several days through Aug. 11. Both junior and senior men and women will compete at the Sprint Center for national titles and a spot on the national team. The junior men will begin the competition on Aug. 8 at 1 p.m. followed by the senior men at 6:30 p.m. Day two of the competition kicks off on Aug. 10 at the same time respectively for each division. Tickets for the events go on sale on Feb. 11 at 10 a.m. and pricing can be found by clicking here for event details. The junior and senior women begin their events on Aug. 9 at 1:00 p.m. and 6:30 p.m. for day one of competition (Tickets). See below for a complete list of ticketing packages. The world will be paying attention to the senior women as Simone Biles goes for a sixth record-extending title. In 2018, she returned to competition following the 2016 Rio Olympic Games and did what she does best — win. She unveiled upgraded routines at the GK US Classic, a precursor to the National Championships, and later swept every event at the Nationals in August. Winning gold on all four events plus the All-Around, it's a feat that hasn't happened since Dominique Dawes in 1994, three-time Olympian and a member of the famous 1996 gold medal-winning team in Atlanta, Georgia. Biles then went on to score big at the 2018 World Championships in Doha, Qatar where she helped lead the team to gold with her dynamic and incredibly difficult routines including a new vault named after her (a half turn onto the board and double front twist off). She then went on to win her fourth All-Around title despite having two falls. Moving on to event finals, Biles downgraded her vault to the Cheng which she performed in Rio along with the two and a half twisting Amanar which knabbed her another gold. With a new coach, Biles has also upgraded her uneven bars routine with a double twisting double back somersault dismount and for the first time, Biles won an individual medal on the event. She clenched the silver medal and that, in particular, was a goal. Moving on to balance beam and floor, she tumbled across the four-inch wide platform just as she does on floor exercise, winning gold on each. The competitions from here on out will be crucial for selection camps for both the 2019 World Championships and the 2020 Tokyo Olympic Games. Only the winner of the Olympic Trials will be guaranteed a spot on the four-member team in 2020.